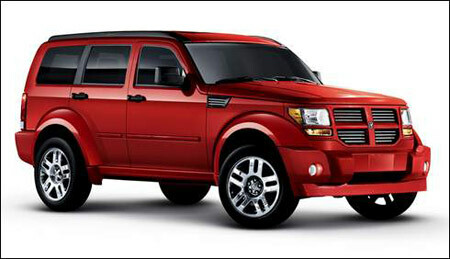 Dodge dealers love the new Nitro SUV’s looks and price. But many complain about the edgy Nitro ads created by the agency BBDO. One TV ad shows a Nitro jump-starting another car. The Nitro driver guns his engine, and the other car blows sky-high. Another ad shows a Nitro falling through the center of the earth and through hell to emerge on a street in an Asian country.Â Arresting as they are, the ads don’t say anything about the Nitro’s features. Therein lies the dealers’ beef. “We need to be telling people why they should be buying a Nitro,” says Doug Alley, owner of Alley Dodge in Kingsport, Tenn., and a member of the Dodge Southeast regional dealer advertising association. The Nitro ads were a big topic of discussion at a recent association meeting, he says. Chrysler group CEO Tom LaSorda promised dealers he would review the group’s advertising from top to bottom after the resignation this month of global sales and marketing chief Joe Eberhardt. He acknowledged the complaints with the Nitro ads at a meeting with Detroit dealers. LaSorda’s dilemma is that while dealers may not like the ads, many people find them funny and memorable. If Dodge wants to win new customers, it needs to get their attention first. Carrie McElwee, a Chrysler spokeswoman, says the Nitro ads have done their job. After the initial ads raise brand awareness, Chrysler plans “to go more into content and features,” she says. George Kang, a senior analyst for Edmunds.com, has another take. He thinks the ads and the Nitro itself are geared to win new customers for Dodge. “You need to bring incremental business – incremental business being defined as a new generation of people who might not have thought of Dodge,” Kang says. Kang cited an ad in which young people pull into a parking lot in a Nitro and find a space half occupied by a sloppily parked BMW. They crank up the Nitro’s MP3 stereo, and the bass vibrations move the BMW aside, creating a space.